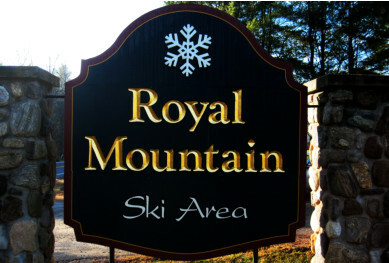 Royal Mountain Ski Area, located in Caroga Lake, NY, is a small ski area with 13 ski trails served by 3 lifts. The Ski Area is an easy hour and a half drive from Albany, and 4 hours from New York City. The Ski Area offers 30 acres of skiable terrain, a 550 foot vertical drop, 100% snowmaking as well as adult and children's lesson programs. Ski rentals at the slope, snack bar with beer and wine at the area. Group and private lessons available. Eighty percent snowmaking. Get Snow Reports, Powder Alerts & Powder Forecasts from Royal Mountain Ski Area straight to your inbox!